Hello fellow programming brothers and sisters. It’s Andy Gesner here with a clip from a Detroit-based crooner, songwriter, and producer named Rashad Morgan who uses his wide-range of talents to create a unique urban sound and satisfy your sonic palette. His latest single, “Keep It 100” featuring famed singer and producer Jazze Pha, is a hip hop anthem praising girls who keep it natural, letting them know that they are perfect gifts just the way they are. Singing the Motown songbook at his elementary-school talent shows came first, then came the church choir, an active choir that would often leave its west-side base for public performances downtown. It was at one of these performances that Rashad was discovered by former New Edition and Bell Biv DeVoe member Michael Bivins, who was launching his own label. A 14-year-old Rashad would make his debut as Ray Ray on the 1999 album Michael Bivins Presents the Adventures of the Biv 10 Pee-Wee All-Stars. Rashad’s musical endeavors only continued to get more and more exciting all through his late teens and early twenties as he recorded under the management of Big Ticket Music Group, owned by Atlanta Falcons running back Warrick Dunn. 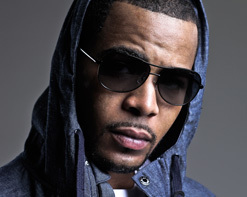 Through his relationships there, Rashad ended up recording his independent album People Call Me Ray Ray, which landed in the hands of Grand Hustle Entertainment — home to Southern rap stars T.I. and Young Dro — and soon Rashad was in Atlanta, writing and recording his Grand Hustle/Atlantic Records debut. The first single, the smooth “Tell ‘Em What They Wanna Hear,” became a huge hit on urban radio and featured T.I. and Young Dro trading verses. Rashad was recently featured in numerous popular outlets including WorldStarHipHop,HipHopLead, Sandra Rose, All Music Guide and the Kiss FM website. Continuing to ride on his growing wave of success, Rashad hopes to take the urban and mainstream crowd by storm with his latest single “Keep It 100.” The song features the young star’s best attributes: his smooth and easy flow, his talented vocals, and his top notch production. Rashad’s rhyme flow on “Keep It 100” is effortless and suave, delivered with confident and mid-tempo poise in the manner of stars like Drake, T.I., and Lil Wayne. To up his swagger, Rashad employed Ciara “1,2 Step” producer Jazze Pha to work and appear with him on the track. Some of you might know Pha for his signature trademark of hollering out “Ladies and Gentlemen!” at the beginning and endings of tracks he’s a part of. As with any great hip hop song about hot girls, the video must include said hot girls as a given. On this particular aspect, Rashad also delivers plentifully. The clip is filled with beautiful girls walking down the street, flirting, dancing, and wearing skimpy outfits that show off their best physical attributes. This plethora of good looks only adds to Rashad’s assertive presence, assuring the viewer that it pays off to be talented! We are thrilled to be a representing an artist that radiates with swagger and talent from start to finish. This independent star has made a big splash in the industry by working hard and pumping out quality music. We are certain fans of the genre will love “Keep It 100” featuring Jazze Pha. We’d love to hook you up with copies of his new album, so be sure to reach out to get some for yourself and your viewers. If you need more info, call Andy Gesner at 732-613-1779 or e-mail us atHIPVideo@aol.com. You can also visit www.Myspace.com/GrandHustleRashad, www.Facebook.com/RashadMorganMusic, www.YouTube.com/TheRashadMorgan and @RashadMorgan on Twitter to find out more about Rashad Morgan.